We wanted to create a Feature that had visible links with the past, industrial use of the site. Initially local schools were involved in the design for the Millennium Feature although sadly the design could not be finally implemented due to planning and cost problems. The final design is constructed of Sussex, hand made bricks erected on the remains of the old engine shed. 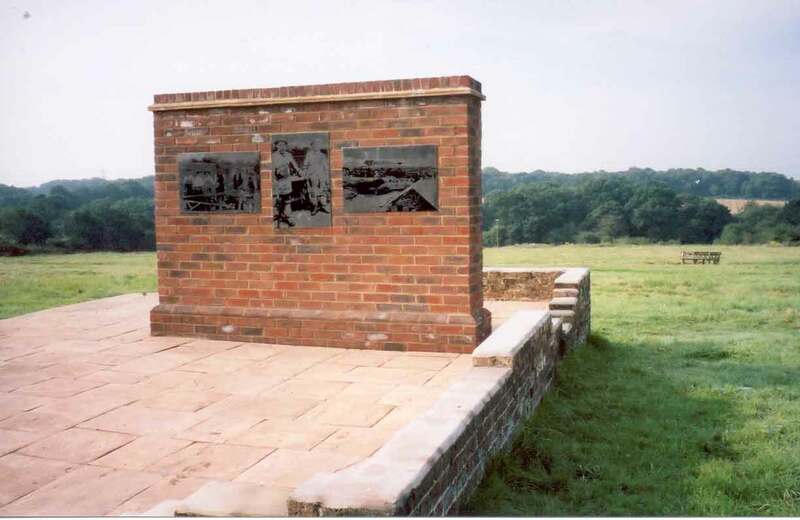 The north face has three stainless steel etchings, copied from photographs of brickmaking in the area whilst the south face has a seat where visitors can rest and enjoy the views across the meadows. 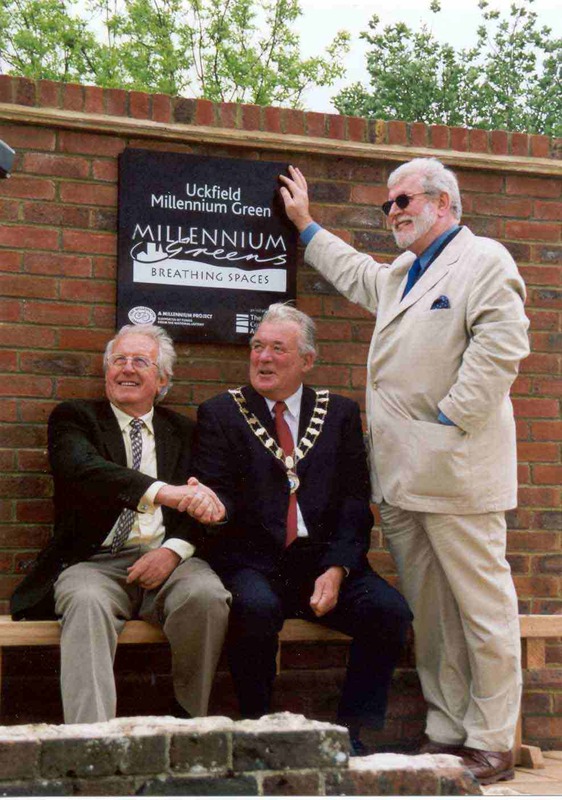 The Green was officially opened on 18th May 2002 by the Mayor of Uckfield, Councillor Barrie Murray who was thanked by the then Chairman, Bob Sweetland. The celebrations were supported by many of those who had been involved in the creation of the Green and included representatives from Uckfield Town Council, East Sussex County Council and Wealden District Council. There were a number of stalls and events including a Treasure Hunt organised by Little Horstead School. In spite of a brief shower of rain, the event went off well.